It’s a question I’m asked about almost every book – and one other women’s fiction writers I know deal with just as often. For me, the answer is always yes. And always no. 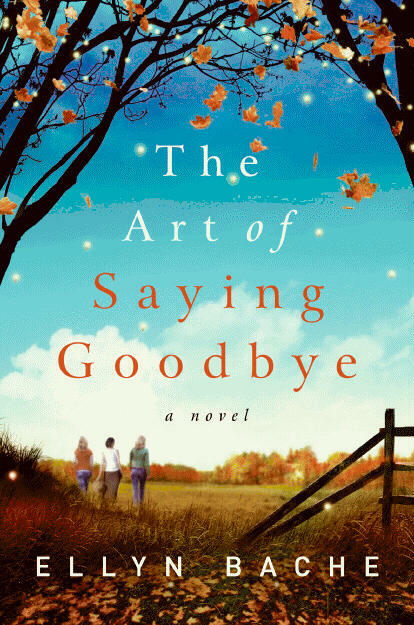 My newest novel, THE ART OF SAYING GOODBYE, is based on a real event. In the suburban neighborhood where I lived for many years, a beautiful, vivacious woman with two children was diagnosed with a terminal cancer that claimed her after only a few months. I didn’t know her well. Saddened as I was to hear about her family’s tragedy, I didn’t expect to be affected in any profound way. I couldn’t have been more wrong. Along with the rest of my neighbors, I went through an astonishing range of emotions, from shock and sorrow to a kind of guilty joy at being healthy – for which I felt deeply ashamed. Above all, I felt helpless. What good did our casseroles do? Or the white ribbons tied around trees in our front yards? Or the prayer meeting that felt a little like a neighborhood coffee klatch? It was a terrible time – and yet, as it turned out, a remarkable one. The book I finally wrote deals at one level with the very different ways four longtime neighbors react in a similar situation. 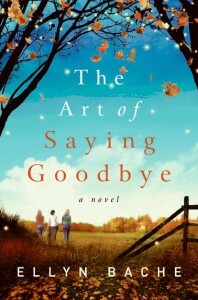 On another level, it is about the universal need to face our own mortality in the shadow of a friend’s illness – only to come away, finally, with a kind of transcendent thankfulness for our lives, and the realization that a person is never the illness that claims her, but always herself, someone capable of leaving us a legacy of strength and joy. The four neighbors whose stories make up the novel are nothing like me. There’s a nurse with an eerie gift of diagnosis. A cynical widow. The owner of an upscale hot-tub store. A housewife whose marriage suffers because of a troublesome child. I am none of these people. Not even close. But the emotions of these fictional characters are exactly the ones I felt in real life when my neighbor was sick. None of the women are “me.” And yet all of them are. Does this make it autobiography? Not really. Like many of us who write mainstream women’s fiction, mine is a blend of fact and feeling and imagination, set into prose, with hopes it will reach other hearts than mine.